In the previous article, I discussed the symptoms of leaky gut syndrome and its possible causes. To recap, the leaky gut allows substances such as toxins, microbes, undigested foods, waste, and larger than normal macromolecules to leak through an abnormally permeable gut wall. Consequently, this causes your immune system to react. You may experience symptoms including bloating, diarrhea, indigestion, unhealthy weight loss, sugar craving, genital yeast infections, chronic fatigue, mind fog, and depression. Possible causes of leaky gut syndrome include yeast and parasitic infections, poor dietary habit, and psychological stress. This may lead one towards liberal use of antibiotics and other potent drugs, which may only exacerbate the problem. Luckily, leaky gut syndrome is reparable. In this article I will address the holistic treatment for repairing leaking guts and regain health and vitality. To prevent the worsening of leaky gut syndrome, the pathogenic yeasts and parasites need to be removed simultaneously as soon as possible from your intestines. A strong herbal detox program is needed to perform this task quickly and effectively. Our Herbal Detox program (Yeast-Para Control and Cleansing-Balance Tea) is designed for this purpose. Usually within days of taking these two herbal formulas, my clients reported seeing debris of yeasts, eggs of parasites, or bodies of mature worms in the toilet. Debris of yeasts looks like hair, cotton, clouds, or mucous in the urine. Eggs of parasites look like sesame seeds, sunflower seeds, brown rice, or white specs in the stool. Mature worms look like string cheese, spaghetti, colored rot, or broken tree leaves. Yeasts and parasites have more than 250,000 species. I will not be able to describe all of them! You also need herbal formulas that can repair the lining of your digestive tract and allow healthy tissues to grow. Our Herbal Cocktailhas many great functions including repairing the lining of your damaged intestinal walls. An anti-yeast nutritional program contains no sugar, no dairy, no wheat, no yeasts, no alcohol, no caffeine, no nicotine, nor chemicals. Even though this is a tall order for most Americans who are used to the Standard American Diet (SAD), do the best you can to follow these “Eight Commandments.” To learn more about what to eat and what to avoid, read my yeast-free cookbook, Healthy and Tasty: Dr. J’s Anti-Yeast Cooking. Both hard-copy books and e-books are available on our website: www.drjsbest.com. Most of clients report to me that their leaky gut syndrome flared up when they were under stress. Stress is a part of life. When managed effectively, stress can propel you towards higher levels of success or spirituality. Many roads lead to Rome. Try different ways to reduce your stress. Daily prayers, meditation and exercise are very simple and effective ways to manage stress. If you do not know how to meditate, visit my website at www.drjsbest.com and download the free10-Minute Meditation Guide. Practice 10-Minute Meditation daily, and you will enjoy newfound peace and harmony. As explained in the previous article, the western medical establishment uses antibiotics as a “catch all” magic bullet for all infections without consideration of strengthening the immunity. Cortisone is another popular drug used to inhibit the inflammation process but destroys the immunity. They may be effective in inhibiting inflammations for a short period of time; however, in the long run, they weaken your immunity, and thus allow yeasts to overgrow. Remember, yeasts and parasites are “Siamese Twins”. They go hand in hand. When yeasts overgrow in your body, so do parasites. As I mentioned in Part 1 of this article, when people developed leaky gut syndrome, they usually encounter all the factors described above. However, if you employ a holistic approach towards healing leaky guts, you will experience improvement. Be patient with yourself, and with your life. Leaky gut syndrome is curable! Dr. Juliet Tien (Dr. J) is a leading expert in treating female or male yeast and parasitic infections, as well as over-weight or under-weight conditions. She is also the author of Breaking the Yeast Curse: Food and Unconditional Love for Magic Healing and Healthy and Tasty: Dr. J’s Anti-Yeast Cooking. For more information or schedule an appointment for consultation, call (800) 715-3053, or (818) 472-2213, or send an e-mail to drj@drjsbest.com. 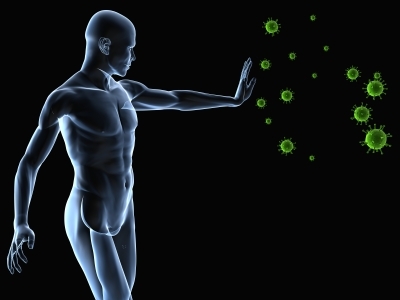 It is common sense that a strong immune system is the foundation for good health. When your immunity is weak, a variety of diseases can flourish in your body. Here is an analogy: when the police force is strong in a society, there will be social order; when the police force is weak, gangsters take over, and people would live in chaos and fear. Scientists have reported that all of us have cancer genes in our body. It is only when our immune system is compromised that our body cells become fermented and turn into cancer cells. So the question is: How do I strengthen my immunity? As I have stated in previous articles, a yeast-free nutritional program containing no sugar, no dairy, no wheat, no yeasts, no caffeine, no alcohol, no nicotine, nor chemicals (Dr. J’s Eight Commandments as my clients called it) will prevent new toxins from harming your immune system. I know this is a tall order because most people are so used to the Standard American Diet (SAD) which is loaded with my no-no’s. Read my yeast-free cookbook, Healthy and Tasty: Dr. J’s Anti-Yeast Cooking to learn what to eat and what to avoid. I recommend doing the best you can. If you can do 50%, you will get 50% of the benefits; if you can do 75%, you will get 75% of the benefits. Of course, if you make 0% of the effort, you will get 0% of the benefits. Our Female Vitality or Male Vitality is designed to balance your hormonal system and give you calm energy, mental clarity, and uplift your mood. This, in turn, will improve your problem solving ability and reduce the stress in your life. When you are able to handle your stress effectively, you will have a heightened immunity. More than 60% of Americans are overweight (or have excessive fat). Many people go on and off starvation diets attempting to control their weight, consequently damage their immunity. If you want to lose weight, do it the safe and healthy way. Follow my yeast-free nutritional regimen and get on our Weight Management program: Herbal Cocktail, Fitness Regular, and Fitness Plus. By taking these actions, you will safely lose about two to three pounds per week consistently. Herbal Cocktail is a high protein herbal drink designed to stop your sugar craving and curb your appetite for junk food. Fitness Regular is a fat blocker designed to balance your blood sugar, blood pressure, and cholesterol. Fitness Plus is a fat burner designed to burn the existing fat in your body. When you are physically fit, you will have stronger immunity. 70% of our body weight is water. Dehydration can cause the increase of mucous, yeast overgrowth, and many other health problems. It’s important to drink eight to ten cups (about eight oz. each cup) a day to maintain proper hydration. One tea bag of our caffeine-free Cleansing-Balance Tea makes six cups of tea. I have also included several soup recipes in my yeast-free cookbook, Healthy and Tasty: Dr. J’s Anti-Yeast Cooking. You can make a delicious smoothie with our Herbal Cocktail. Purified water is also effective. You have plenty of ways to hydrate your body properly. Daily exercise improves blood circulation and increases the supply of oxygen and nutrients to your body cells, and thus strengthens your immunity. Furthermore, yeasts and parasites love a still environment. A body in motion can reduce yeast and parasitic infections. Exercise also enhances the absorption of herbal nutrients if you are taking supplements. You don’t need to go to the gym to exercise. Slow walking or jogging in place is just as effective, and the price is right! It’s free! When your body is exhausted, the immune system can break down. Everyone requires different amounts of sleep. Find a happy medium for your body. Usually seven to eight hours of sleep is important for your body to recuperate. If you feel that you aren’t getting enough sleep, then incorporate my ten-minute meditation (see my book, Breaking the Yeast Curse: Food and Unconditional Love for Magic Healing) and/or cat naps during the day which are very effective. Stress, if managed properly, can motivate and propel you to a higher level of success. Otherwise, it can cause wear and tear down your immune system. My book, Breaking the Yeast Curse: Food and Unconditional Love for Magic Healing, gives you many tools to manage your stress effectively. Emotional Releasing Technique, writing a “Reconciliation Letter”, meditation, prayers, and affirmations are but a few examples. Your immune system is like a machine containing various sizes of cogs and screws. Each cog needs to operate harmoniously together in order to yield the best efficiency. A car needs regular oil and air filter changes every 3,000 miles. Your body needs regular maintenance just like your car. Take good care of your body so that you can get best mileage out of it!